Palma Shooting — What Calibers Are Permitted? There is, understandably, quite a bit of confusion concerning caliber limitations for Palma rifles and Palma competition. Some folks say you can shoot a .308 Winchester (or 7.62 NATO) with a bullet weight up to 156 grains. Others say you can shoot a .308 Win (or 7.62 NATO) with any bullet weight. 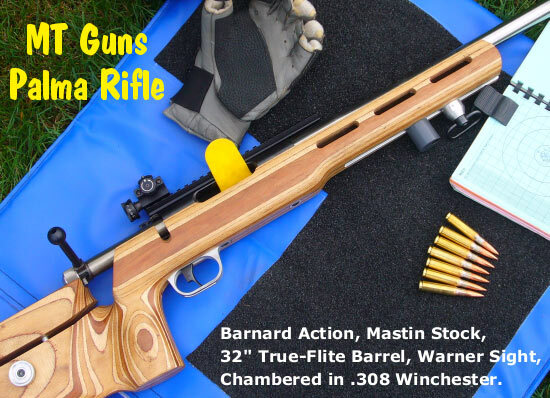 Still others opine that you can shoot EITHER a .223 Rem (5.56×45) or a .308 Win (or 7.62 NATO). So who is right? Well, all these viewpoints are correct in part. That’s because different rules apply in different venues. In most, but not all United States Palma competitions, you can shoot either a .223 Rem or .308 Win with no restriction on bullet weights. 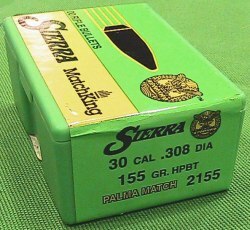 In some U.S. Matches, most notably the Spirit of America, certain prizes are limited to .308s with 156gr max bullet weights OR .223s with 81gr max bullet weights. What’s the bottom line? In most USA Palma competitions you can shoot either a .308 or a .223 with no limit on bullet weight. In International Palma competitions you can shoot either a .308 or a .223 but the max bullet weight is limited. or 3.1.1 (.308 only) are authorized. only or 3.1.2 (.223 only) are authorized. A few matches are run under the new NRA Fullbore Rules which are meant to align the USA with the rules observed in other nations competing in similar matches. The most notable of these is the annual Spirit of America Match which is also the Fullbore National Championship. The Grand Aggregate prize of the Fullbore National Championship is restricted to those competitors firing the International Target Rifle. Under the Fullbore Rules, there are two categories of rifle, the Target Rifle, which is the same as the High Power Palma Rifle, and the International Target Rifle, which is compliant with the rules of most other nations. The International Target Rifle has restrictions on trigger weight of pull, but no restrictions on overall rifle weight. Additionally, there is an ammunition restriction which limits the weight of the bullet to 156 grains for the .308 and to 81 grains for the .223; this restriction applies to both Target Rifle and International Target Rifle categories. The applicable rules are listed below. or trigger, However, the trigger must be safe. rifle or trigger. However, the trigger must be safe. 1.1 pounds) and the total weight of the rifle is unlimited. maximum permitted bullet weight of less than 156 grains or .223/5.56mm x 45 NATO with a maximum permitted bullet weight of less than 81 grains. Share the post "Palma Shooting — What Calibers Are Permitted?"